Scott: We have, I think, such a incidence of Alzheimer's in this country. And if you go back to, what, the 80's, it was low-fat or no fat. So there was..
Dr. Stephanie Seneff: Yes, I know! 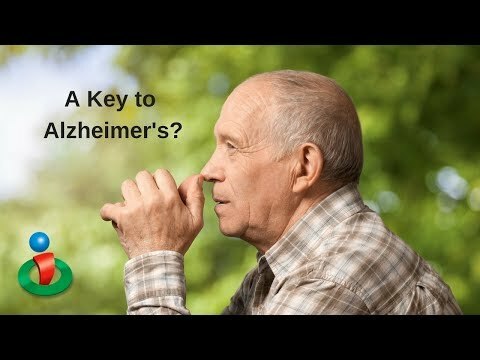 Scott: .. as to why we're seeing so much Alzheimer's? Seneff: Yes. I think the low fat diet has not done any good for the Alzheimer's. The brain has a huge amount of fat. And it has a huge amount of cholesterol. It's like 25% of the body's cholesterol is in the brain with only 5% of the body's weight. So the brain is really enriched in cholesterol. And that cholesterol is essential for the neurons to be able to communicate their signals. Really, really important for thinking. The concept of... um... I just was always... I laughed at the low fat stuff. It went completely over my head. All the way through my life I have absolutely boycotted anything, any product that says low-fat, non-fat, fat free. I won't buy it. And I've always just kind of thought that... I was amused that people would buy into this concept that fat is bad for you because I've just always known that it isn't. So that just never, never reached me, you know? But it's very, um, very bad idea to eat an extremely low fat diet. It's going to definitely cause a lot of problems, particularly with brain health. And especially for children. I'm just really disgusted when I see someone feeding a baby a non-fat milk bottle. It's just so crazy because they so much need that fat for their brain development. And of course milk fat is a good fat, although cows are fed GMO Roundup ready feed. So you've got to buy organic milk. Very, very important because you're going to have glyphosate in the milk if you're cows are eating the GMO Roundup ready feed. Alzheimer's and dementia continue to be growing concerns. Why is this the case? Does it have something to do with diet recommendations decades ago? Dr. Stephanie Seneff explains how this could be the case and why you should think twice about eating this way! Is Alzheimer's Linked to this Common Virus? Warning for This Year's Flu Vaccine! A Warning for This Common Supplement!